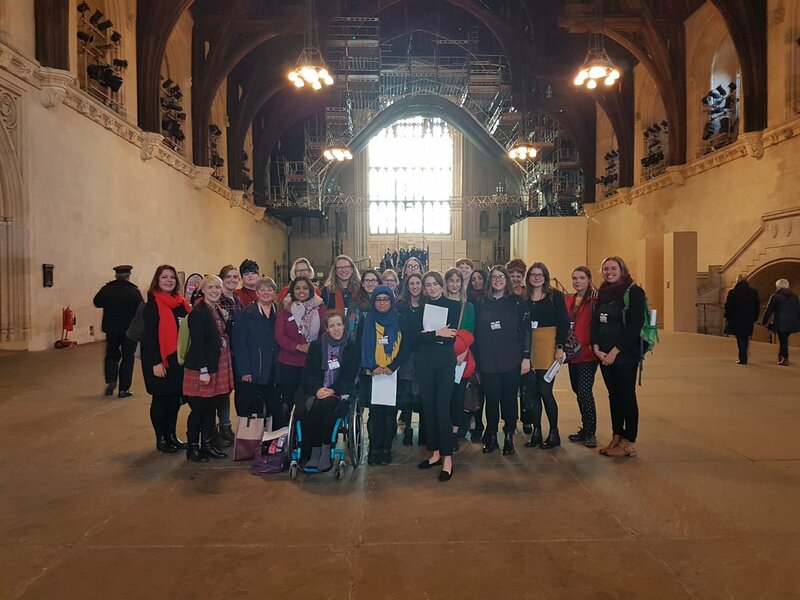 On a recent visit to parliament as part of the WEN mentoring scheme, Maria Miller MP asked me, and all the WEN mentees, to stand for election. To celebrate the 100th anniversary of the Qualification of Women Act, which allowed women to stand for parliament for the first time, 50/50 Parliament are encouraging women to stand for political office. Women make up 51% of the UK population but currently make up just 32% of MPs, 45% of AMs and 27% of Welsh Councillors. Women are under-represented at all levels of government and as a result women continue to bear the brunt of policies designed by men – with 86% of the burden of austerity falling on women. This has to change. As part of the WEN scheme, I have been mentored by Eluned Morgan. Eluned has a huge amount of political experience as an MEP, an AM, a member of the House of Lords and a Welsh Government minister. You would assume that any barriers she has faced had been overcome but she still had to fight to get on the ballot for Welsh Labour Leader. There are still so many firsts in politics for women to achieve. I hope, in this important centenary year of women’s suffrage, Eluned can cross off Female First Minister from that long list of ‘firsts’. Through participating in the WEN scheme, there are 3 main things that have helped me consolidate my decision to stand for election in the future. Learning to banish impostor syndrome. Almost all the female politicians I’ve met talked about suffering from impostor syndrome. These women are experienced, intelligent and passionate about representing their constituents and all do an amazing job – yet they’ve all had moments where they feel they’re not good enough. I have resolved to focus on all the things I do well and stop worrying about not being perfect. Failure is OK. Fear of failure can be terrifying and stop us from even trying but it can also be valuable. On this programme I have met AMs & MPs who have shared their stories about not being selected or not winning a seat but they used that experience to learn and move forward. Sisterhood comes before party politics. I’ll admit, as a Labour member, it was quite strange being asked to stand by Maria Miller, the Conservative MP, but the barriers women face are not partisan. I will encourage women to become politically active and to stand for election wherever they fall on the political spectrum. With the support I’ve received from the WEN scheme I am confident I will stand for election in the future. If you know a woman who should do the same, please #AskHerToStand and to put her name forward for the next cohort of WEN mentees.